What a great first line! 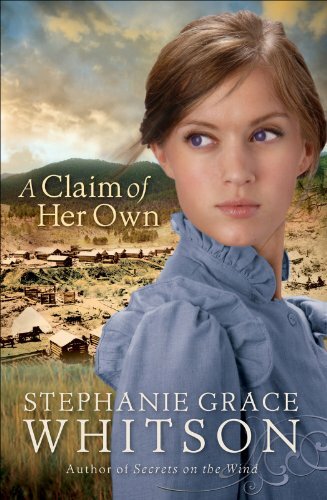 I do want to read more, and I haven’t read any of Stephanie Grace Whitson yet. Those are some interesting first lines. I especially liked the one about the dam. Thanks for sharing! I like the cover, too. Hmmm with that first line and the title…. is Silas a social worker?? Such a beautiful cover!!! And yes, gripping first line! You can never go wrong with the classics. Welcome to FLF! What a poetic description. Nice. Thanks for sharing! If the blackouts were only 15 minutes apart, why is it darker? Twilight, perhaps? Interesting. Enjoying a little nonfiction, I see. Which volume is that from? Volume I. Non-fiction is pretty much all I read. oooh sounds like trouble! Love it. Thanks for sharing! Well, that is an unusual location. Thanks for sharing! That is a great line! Mine comes from Redeeming Grace by Jill Eileen Smith. Hmm, I wonder what the hurry is. Thanks for sharing! I’m adding that one to my tbr! Thanks, Kathleen! Happy to help. You won’t regret reading it. Your line plus the title sound like a book with a great sense of humor. I’ll have to check it out. I had to read that one a couple times to wrap my head around what was going on. Sounds mysterious. Thanks for sharing! oops! Wrong blog. (rolling my eyes at myself) A sure sign I’m just doing way too much haha! Oy. Anywhooo…. I have several books by Whitson on my Kindle and i really need to make time to read them!! Love that first line! LOL Sounds like your week has been like mine! 🙂 No worries. Thanks for stopping by!